The Photobooth Finder - Needing a photo booth for your next party? 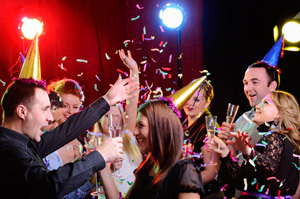 Find out what you need to think about before booking to get the most for your party. Find out more here! Party on with a Photo Booth Rental! Renting or hiring a photo booth is a brilliant and fun addition to any type of party you may be planning. Whether it be a significant birthday party (18th, 21st, 30th etc), graduation party, school prom, kids party or staff Christmas party a photo booth is an awesome way to bring people together in the spirit of celebration! Are there any access restrictions or issues? If you have any guests in a wheelchair you're going to need a wheelchair accessible photo booth (not all are). For a kids party, there may be issues with the children not being tall enough to reach the view of the camera. Speak to your local operators about hiring a suitable kids photo booth or one that comes with a booster seat. Available floor space for the photo booth? Photo booths come in a variety of sizes so be sure you choose one that is suitable for the available floor space you have. Allow enough additional room for peripheral items like tables to set up props boxes or photo-strip albums on as well as room for crowd lines to form. Photo booths by their very fun nature tend to attract quite the crowd! For more detailed information about all things photo booth related be sure to check out our Photobooth Guide and Blog. Ready to start making inquiries directly with local USA and Canada photo booth operators? Use our photo booth search at the top right of this page to find local options today!